﻿ On Apr. 9, 2012 the Taipei Customs Office seized 1,010 grams of amphetamine concealed inside cereal package carried by an inbound passenger. On Apr. 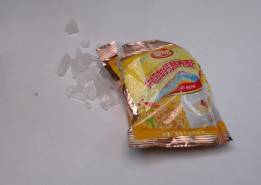 9, 2012 the Taipei Customs Office seized 1,010 grams of amphetamine concealed inside cereal package carried by an inbound passenger.